Letterpress card printed on an antique printing press in gold hot foil on deep blue from paper made from raw potato starch. Designed & hand crafted in Brisbane. Letterpress card printed on an antique printing press in gold hot foil on deep blue from paper made from raw potato starch. 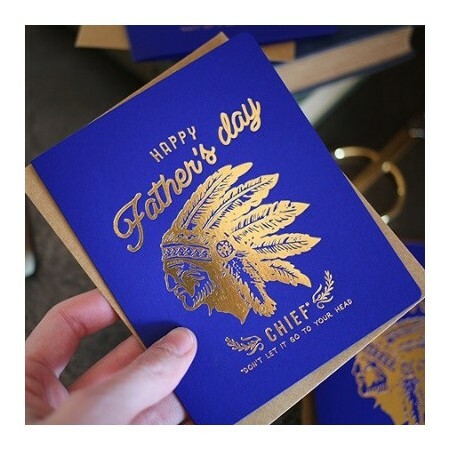 Card cover reads: "Happy Father's Day Chief - don't let it go to your head". Blank inside. Raw potato starch is a byproduct of the food industry, and has a robust, slightly sandpaperish finish. 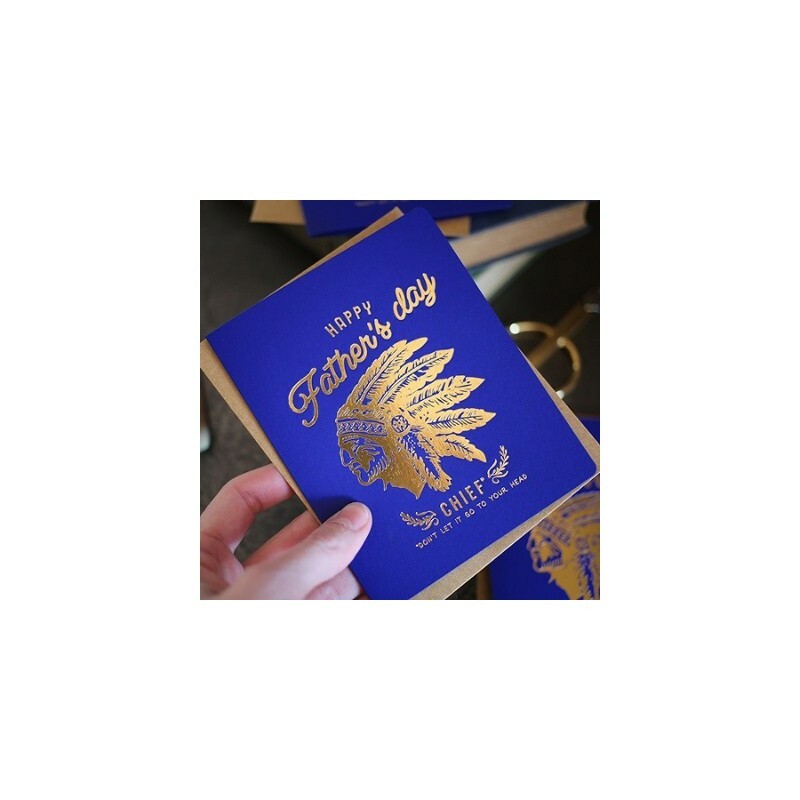 Each card measures 108mm x 135mm in size (when folded) and includes a kraft envelope. Packaged with a clear cellophane bag for protection. Designed and hand crafted on an antique printing press in Brisbane, Australia.